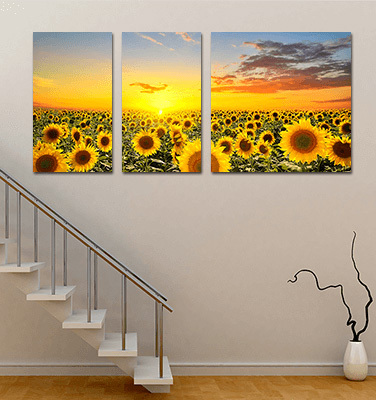 Triptych Canvas Prints (3 Panels) Create Your Own 3 Piece Split Canvas Art! A modern and edgy way to create your own artwork to decorate your space with triptych canvas prints. Built with perfection and hand stretched by expert artisans these 3 piece canvases looks stunning in a gallery exhibition or as a decorative addition to your home or office. Stretched over hand built wooden frames. 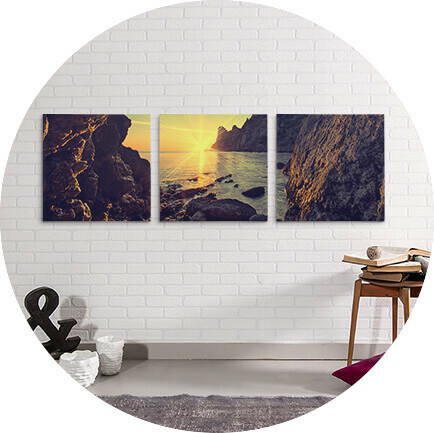 Design three panel canvas artwork using online design tool. Museum quality canvas prints delivered in ready to hang state. Let the creative you surprise your clients with flawlessly hand-crafted triptych wall art prints. 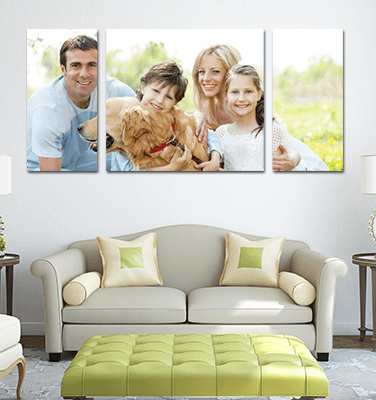 Delivered to your doorstep at a budget price, each split canvas print is carefully crafted by the expert artisans. Also, the visual diagrams and editing options further ensure to deliver enrich the experience and gorgeous multi panel reaching your doorstep, ready to hang. Sizes: small 8” x 8" to Larger 34” x 20”. How to Order: Just 3 Steps to follow: Upload, Customize, Add to Cart. Production Time: 3 - 10 Business Days. We leave no stone unturned and hence use only the HP certified printers and latex inks to craft your canvas prints. Our expert artisans use Pine Wood to build your canvas frames. Well, they aren’t just beautiful but also durable. 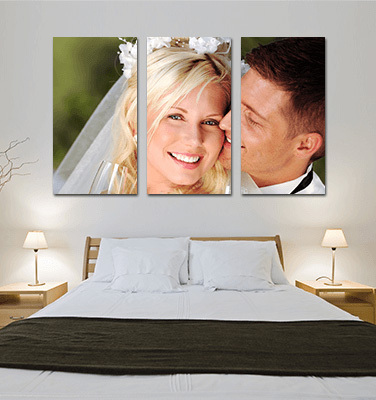 Three panel canvas artwork can be horizontal or vertical or staggered. 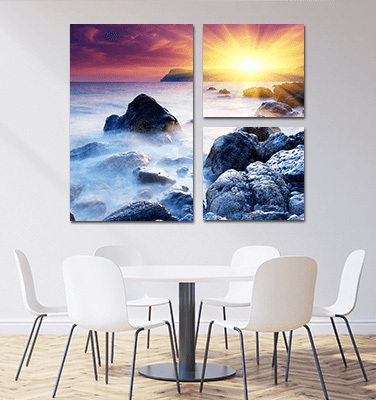 A triptych canvases is a great option for covering a large space in a room either with a single image spread across three canvases or a series of complementing or related images that tells an impactful story. 3 piece canvas prints look stunning in an art exhibition or as a beautifying addition to your home or office. 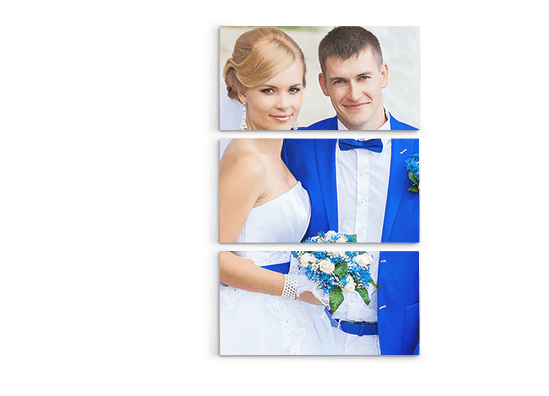 We all tend to create a personalized creative image in front of our guests. 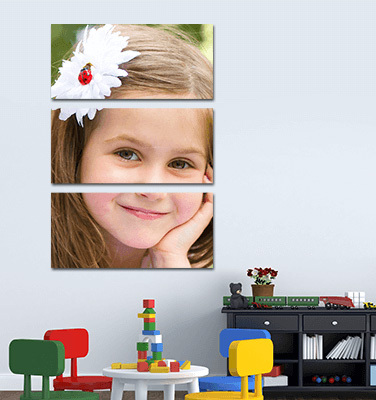 With 3 piece art prints, you can split your single picture into three panels to ensure leaving a distinct impression. 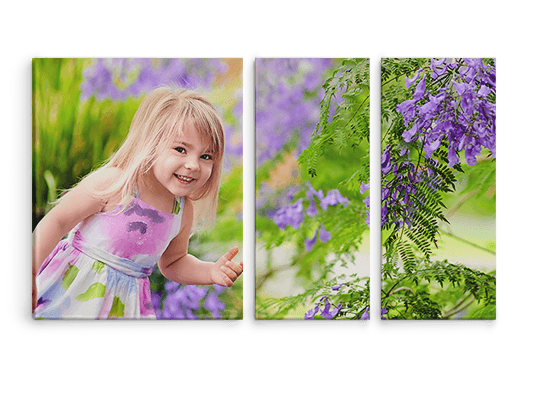 Design your 3 panel canvas prints using our online design tool, to easily view your images and design options. 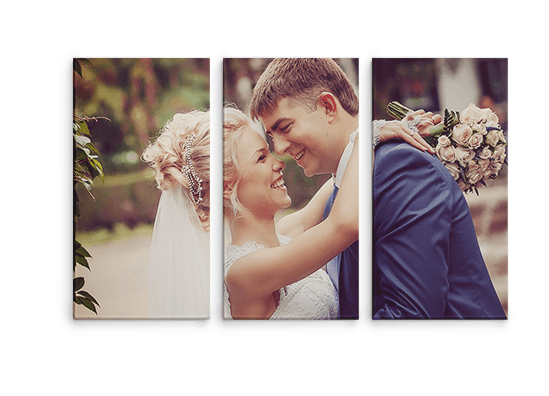 Take full control over your 3 panel split design to share your memories flawlessly. What does triptych mean in art? Triptych is simply a lavish word for transforming image that's split into three panels. In simple language, we can define ‘tych’ as a Greek word which means fold. Having said this, when an art form is divided into two sections, it is referred as diptych prints(here we will link this to diptych canvas print page). Likewise, triptych and quadriptych for three panel and four panel prints. Why Is Triptych Art Successful? Triptych Canvas Prints aren’t just strong and beautiful but will undoubtedly spellbind all who go into the room. Orchestrating a solitary photograph in a progression of three canvases is a great approach to show your most loved picture in an extensive space. Hanging one bit of craftsmanship is incredible as well, yet a Triptych Canvas Print is super snappy, eye-getting, and gives another layer important to your stylistic layout. 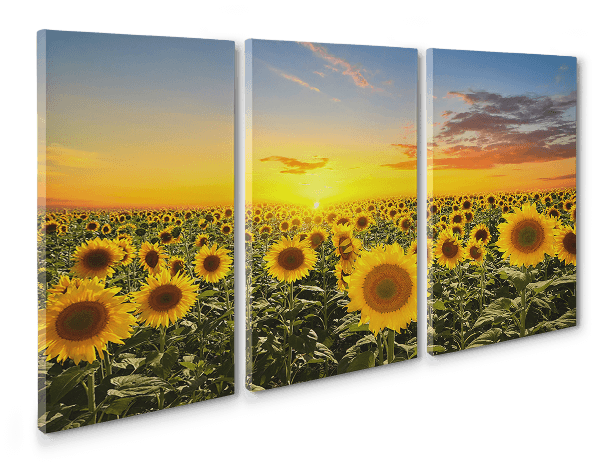 Triptych multi-panel canvas prints can be availed in two different looks, precisely known as row and stacked panels. While the former gets printed/hanged vertically, the later comes in horizontal format. We suggest you to choose the orientation that fits your image and doesn’t require excessive cropping. Having said this, let us for example consider that you intend to print as landscape, the final print has to be extra tall in comparison to its width. Thus, this will fit perfectly with stacked multi panel canvas print. Tell a captivating story in three panels art. 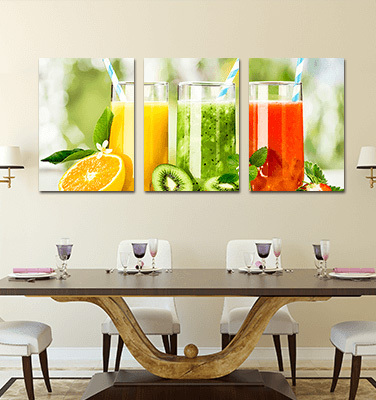 Beautify your walls with an unconfined range of size and split options, the 3 panel split canvas prints can add dimension to your home/office walls. 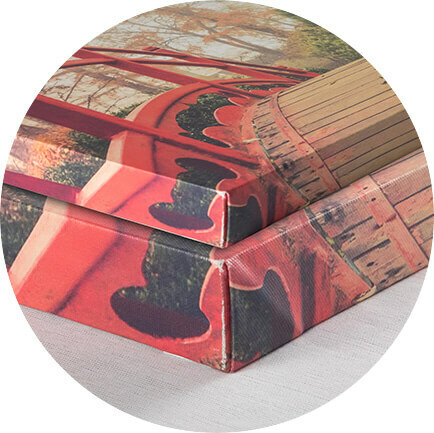 3 piece split Canvas Prints are available in most popular 1.5" thick gallery wrap canvas. 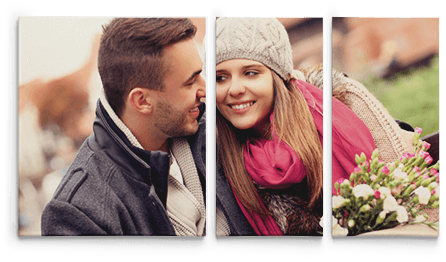 Our triptychs are a perfect option for filling large spaces of your wall in the more creative way. Upload any image, choose your size and edge options, and you're ready to go! 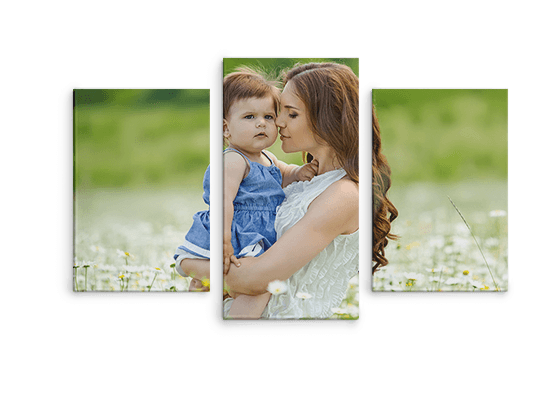 A stunning option to create your own series of standout prints with your image sprawled across many canvases in a unique way. Create Your Own Triptych Canvas Prints To Decorate Your Space With Classy Hand stretched Triptych Canvases.